Sometimes you have to get out of your comfort zone or do something different to entertain your mind. 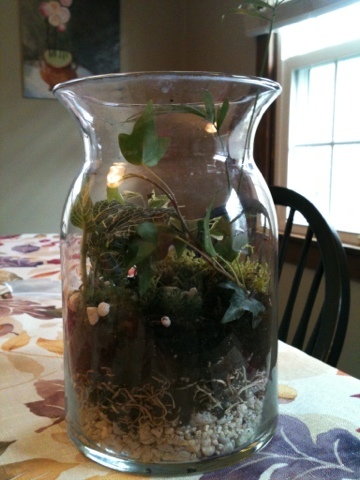 I decided to make my first terrariums. They might still look funky but I loved making them. This was a challenging project because of the small opening of couple of the bottles. It turned out good, it's already raining inside! 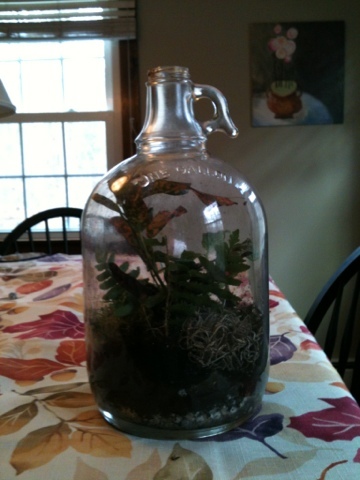 My little ecosystem is almost maintenance free, just what a busy artist-mom needs.